The Alba White Truffle Festival 2017 is upon us! 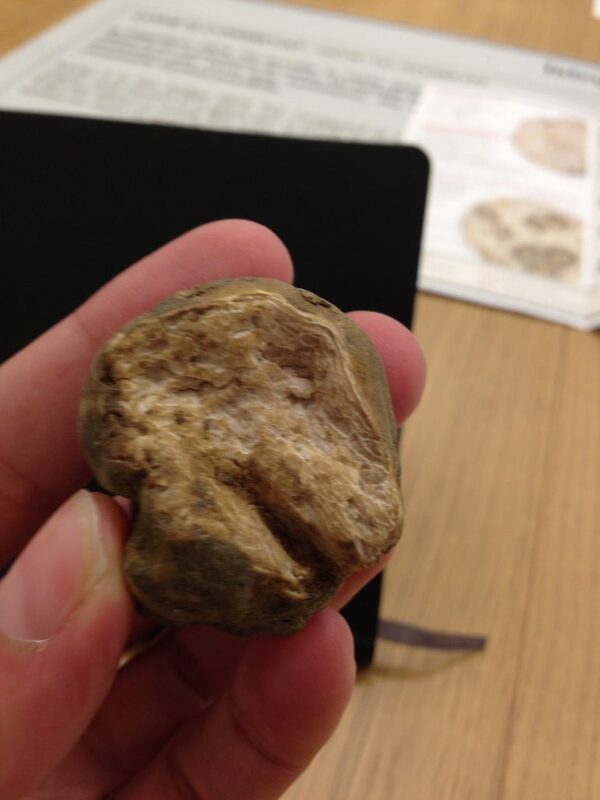 Fall has arrived in the Langhe and with it comes the decadent Alba white truffle. Here is a list of the more notable festivities and events surrounding the 87th edition of the Alba White Truffle Festival 2017. Experience the wines of the Langhe and Roero in Alba’s historic center at the Festa del Vino. All municipalities in the two areas are represented at this wine tasting event. Walk along the main pedestrian street, Via Maestra, tasting some 700 labels along the makeshift Alba Wine Route. The table layout is done by homogeneous areas. 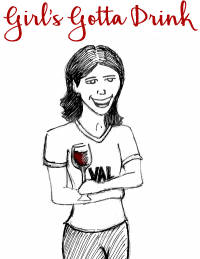 Purchase a wine glass for the tasting experience and compare the wines on parade. 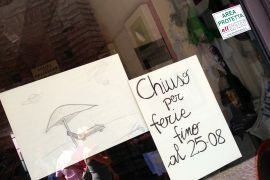 Purchase your glass in Piazza Risorgimento for 13 euros. 2 to 8 pm. Read more about the Alba Festa del Vino. 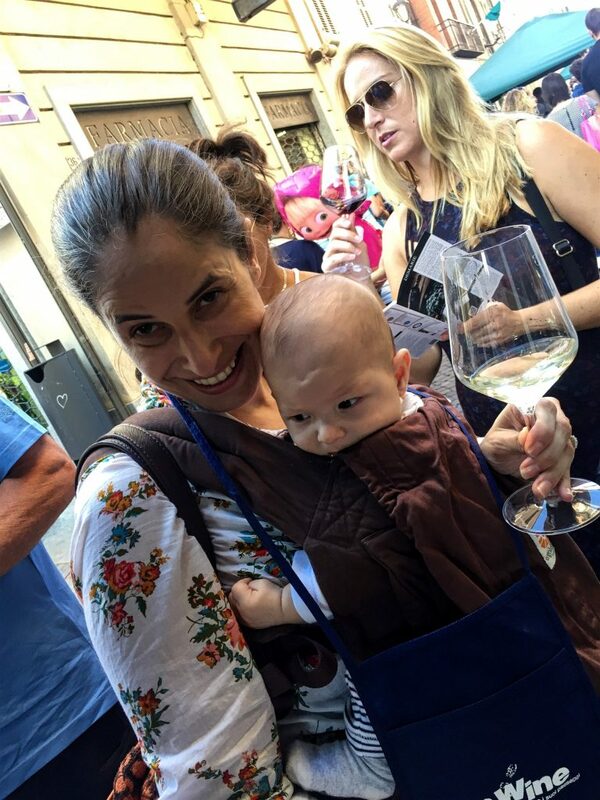 Il Ragazzino enjoyed his first Festa del Vino in 2016. Yes, a donkey Palio. Think Siena’s epic race, with asses. How did this come to be? Well, the story goes that once upon a time, Alba frequently won the legendary Asti Palio. And, Asti didn’t take too kindly to that. So, instead of upping their game, they just stopped inviting them. That’s one way to handle competition, right!? To poke fun at their neighbors, my adopted Italian city began the Alba donkey race, which is a huge hit. The event takes place the first Sunday in October with the nine districts of Alba represented, all vying for that elusive painted silk cloth known as the Palio. Donkey Palio in Piazza Medford at 3:00 pm. A fun night out for the whole family! The event honors the days of old with a re-creation of the traditional, ancient celebrations. Taste wine and dine on street food of traditional cuisine of the region. 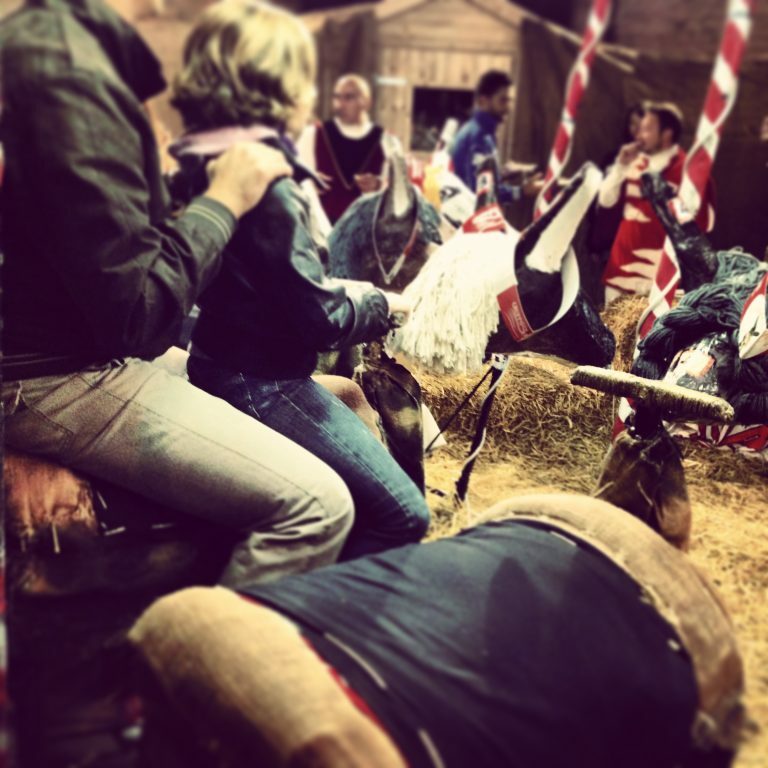 There are also carnival-style games, like the simulated donkey Palio, a dart toss at the salumi, and much more! 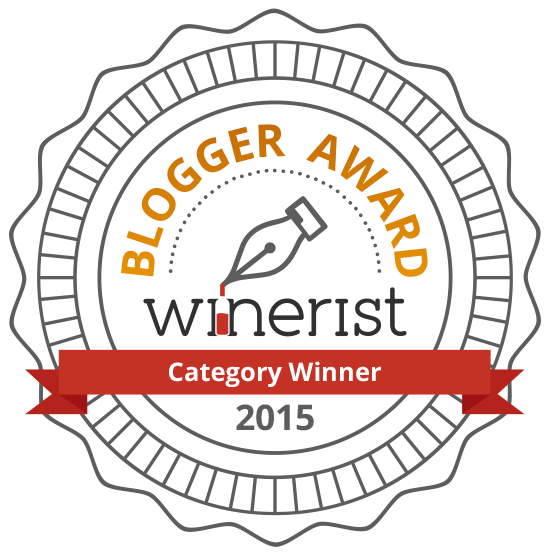 Winners take home wine. Donkey Palio simulation. The rider who pops the balloon first, wins a bottle of Dolcetto! 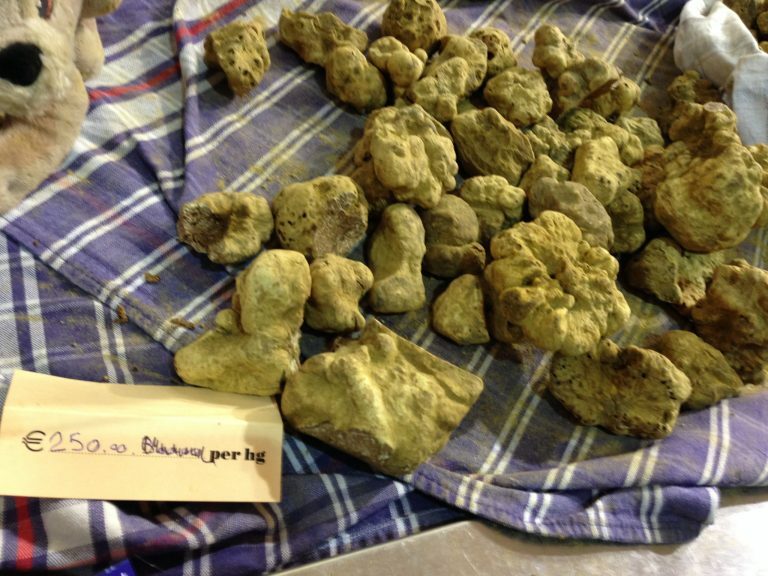 The market is the Alba White Truffle Festival’s biggest draw. 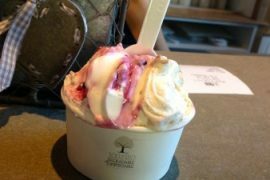 It is the largest international truffle exhibition in the world – not too shabby for little old Alba. In addition to white and black truffles, you will find regional specialties like hazelnuts, cheese, salumi, wine, and more. The market runs weekly in October and November on Saturday and Sunday. Each day the local truffle hunters, called trifolao, bring thousands of fresh truffles to sell to locals and visitors alike. The fair promises quality control as each truffle is checked to prior to the daily opening. Customers can have their purchases reviewed during opening hours at the Alba White Truffle Fair Customer Information Desk. Alba White Truffle Festival 2017 Dates: Every Saturday and Sunday from October 7 to November 26. Opening Hours: 9:30 a.m. to 8 p.m. Location: Cortile della Maddalena, Via Vittorio Emanuele II, 19, Alba; Just head up the main street in Alba’s centro storico (historic center). It’s about midway between Piazza Savona (now Piazza Michele Ferrero) and Piazza del Duomo (Piazza Risogimento). Learn how to identify a good truffle, how to store it, and the best way to eat it at a workshop is led by a local truffle sensory analysis judge. When: Every Saturday and Sunday during the Alba White Truffle Festival 2017 (October 7 to November 26), plus week days the last week of October. 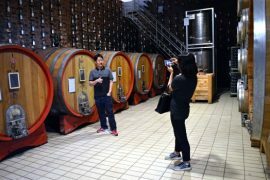 Each weekend oenologists and sommeliers take participants through locals wines with insight into characteristics, growing methods, traditions, and more. Booking: Contact Strada del Barolo for more information at +39 329 2566787. These are some of the main events for the Alba White Truffle Festival 2017! 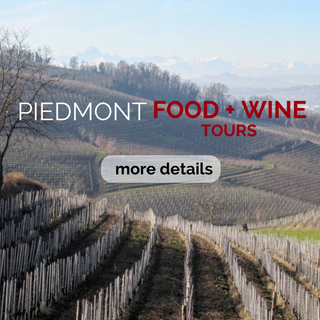 If you are in the area and looking for a Barolo wine tour, contact us! We’d love to show you the area. We can also arrange truffle hunts, cooking courses, cheese producer visits, and more. thanks, ang! i love that you are reading it!! hope you are well!! This is very informative! Thanks so much. Just one question. If we are actually there on weekdays Oct 24-27, will we be able to go to a smaller local market with truffles?? I didn’t know that the fair is only on saturday and sunday.